Banana riddles are amusing word puzzles related to the edible berry plant. Bananas are essential to the food chain. They provide potassium to our bodies and help protect against heart attacks and lower blood pressure. Listed underneath this description are the best word puzzles related to this popular fruit anywhere. The process to solve these is pretty straight forward. Read each question carefully, and then use your critical thinking skills to arrive at an answer. Some riddles featured throughout this selection will be easier to solve, simply because the answer is "Banana." If you have any trick questions related to bananas, we would love to hear them. There is a special section near the bottom of this page for site users to submit their tricky banana riddles. What fruit teases people a lot? A bana na na na na na! What did the orange say to the banana when they were looking for the apple? Why did the banana wear sunscreen at the beach? Why did the banana go to the nurses office? Because he wasn't peeling well! Why are old people like bananas? 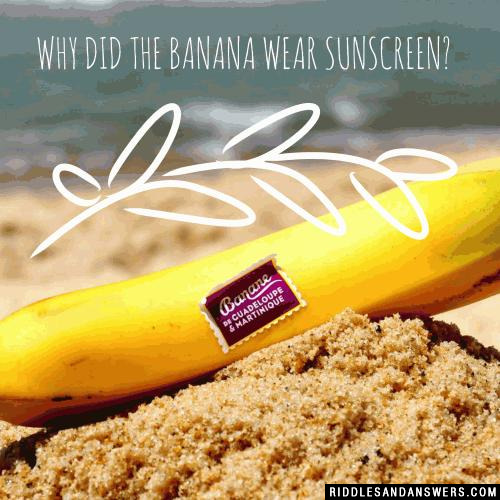 Why did the banana wear sunscreen? He didn't want to peel! Why were the apple and orange alone? What's yellow and goes 50 miles per hour? A banana in a washing machine. What is yellow on the outside and gray on the inside? An elephant that's dressed up in a banana skin. When you remove six letters from this sequence, what familiar English word will it reveal? 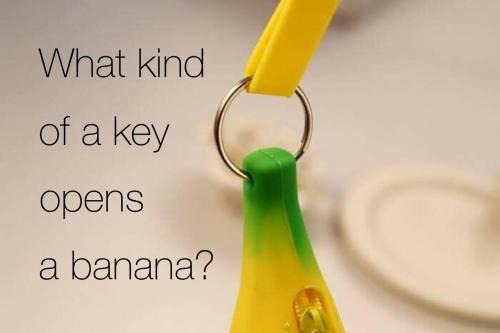 Can you come up with a cool, funny or clever Banana Riddles of your own? Post it below (without the answer) to see if you can stump our users.